We tendered Hochtief for the Dauntsey and Notton railway overbridges for Network Rail on the Great Western Electrification Project Phase 9. 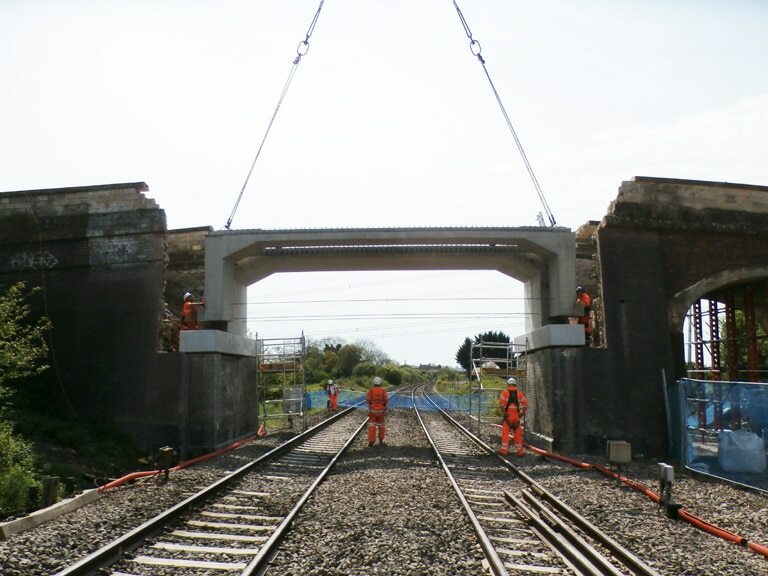 Upon award we then worked closely with Hochtief and Hyder to get the design and production drawings prepared as quickly as possible in order to meet the tight programme. 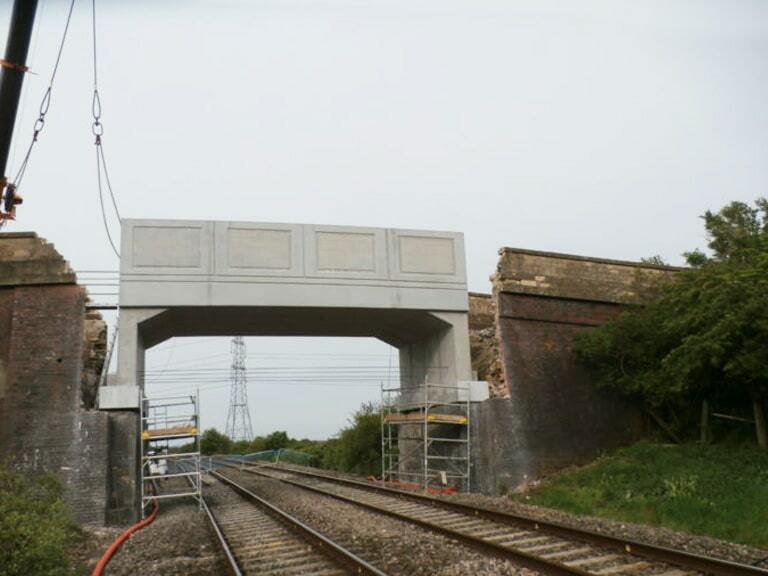 Notton was straight forward in that it was a portal frame overbridge however Dauntsey was a skewed unit which took more detailed analysis and a more time consuming mould. 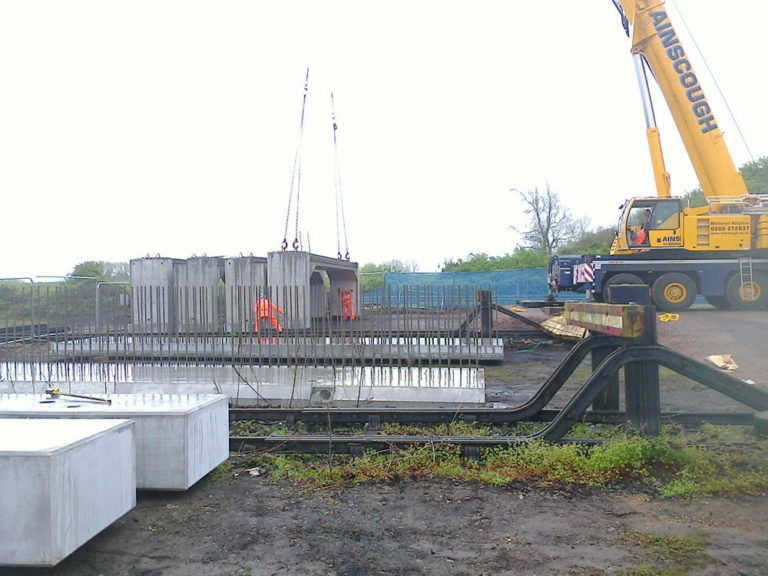 Notton overbridge had 3 portal roofs, 2 parapet panels and cill beams. Dauntsey overbridge had 4 portal roofs, 2 parapet panels and cill beams. 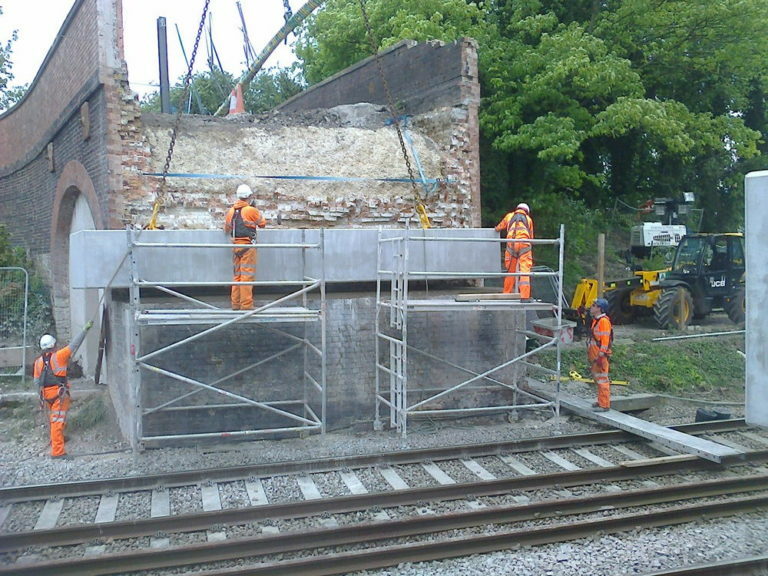 The portals had a deck stitch so a trial fit was erected in our factory to demonstrate that the units fitted accurately and that there was no clash with projecting rebar. 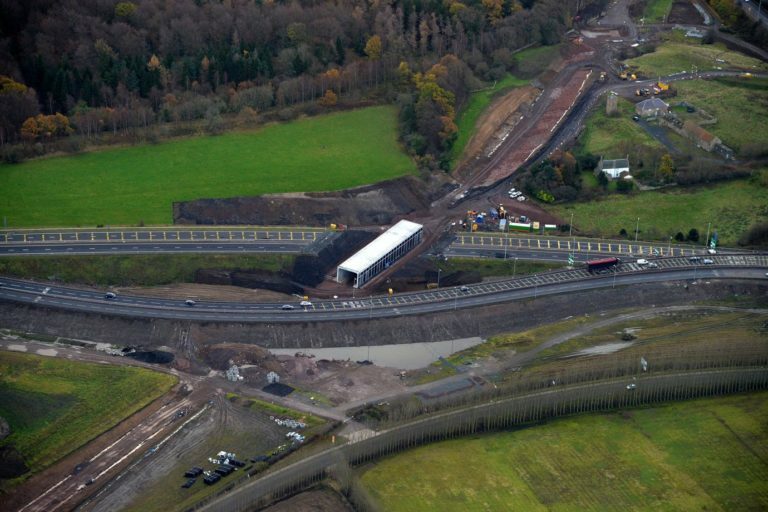 This meant that when the units went to site Hochtief were on the front foot straight away in terms of confidence of fit and as a result installation was completed ahead of schedule.